The dead included the parents of a young child who were shot during a robbery in Columbus, Ohio; a Texas grandfather, whose 73-year-old wife says she shot him for “continuous marital issues and infidelities;” a young couple killed in their vehicle in the early morning hours near Augusta, Maine; and the owner of a barbershop in Alabama who was known as “a strong voice against crime” in the community, according to local news reports. 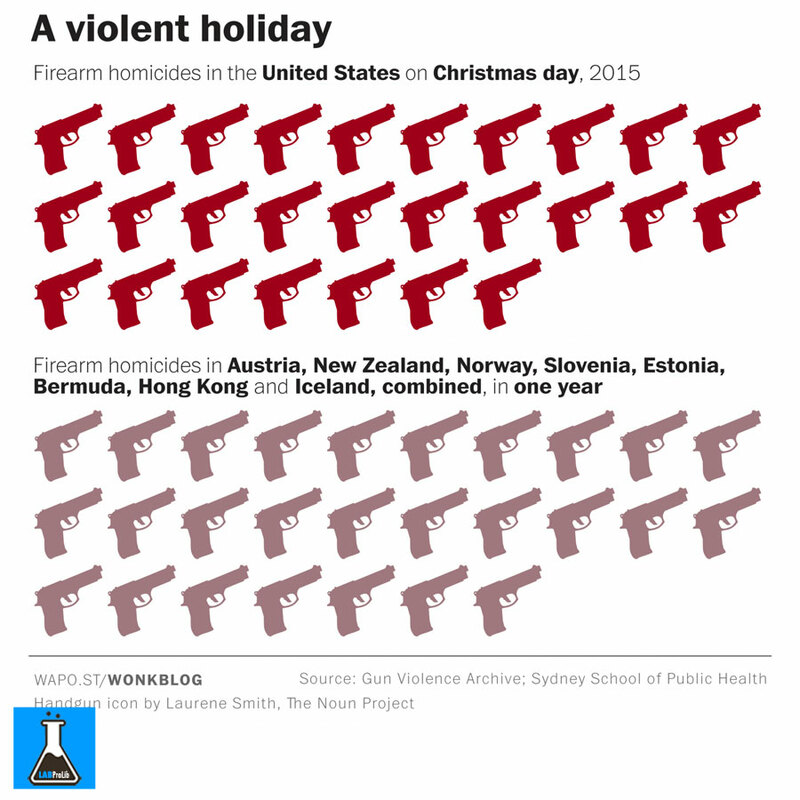 At least two of the Christmas Day shootings qualified as mass shooting incidents with four or more people shot. In one, a two-year old girl and three teenagers were injured in a shooting in a high-crime neighborhood in Jacksonville, Fla. Later that night in Mobile, Ala., four teenagers were shot by two gunmen outside a movie theater.